Designed for the newest generation of high performance, fuel effecient and hybrid engines requiring a 0w20 or 5w20 engine oil. Including those found in Honda, Toyota, Jeep, Ford, Subaru & many more. Martini® Sint 20R/T is a new generation of ultra-high performance, full synthetic, road & track motor oil especially formulated to comply with most high technology, fuel efficient engine manufacturers. 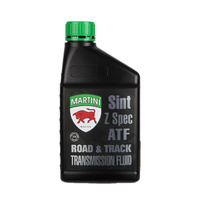 Martini® Sint 20R/T has been developed with “Clean Performance Technology” thereby prolonging its service life while maintaining optimal engine performance. Martini® Sint 20R/T guarantees excellent low temperature fluidity that provides a rapid oil film at cold start. Martini® Sint 20R/T is designed to remain stable at high operating temperatures. The advanced chemistry within the Martini® Sint 20R/T formulation will ensure maximum lubrication protection and positively reduce friction to provide greater fuel economy. 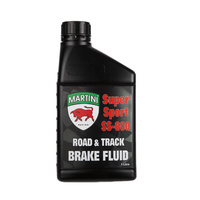 Martini® Sint 20R/T provides the highest level of protection from combustion deposits, heat induced oil oxidation and sludge deposits. Martini® Sint 20R/T incorporates the highest levels of anti-wear, anti-corrosion, anti-foam and exceptional oxidation resistance properties thereby permitting extended long drain intervals if required.